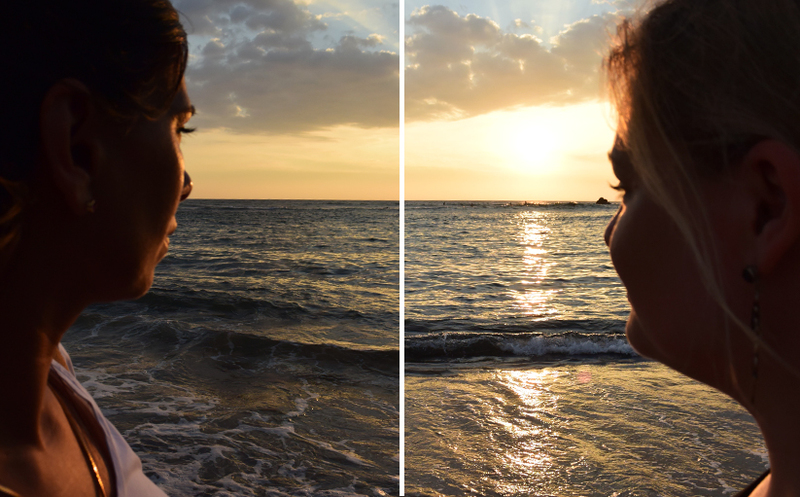 If you ask me, vacation could last forever. 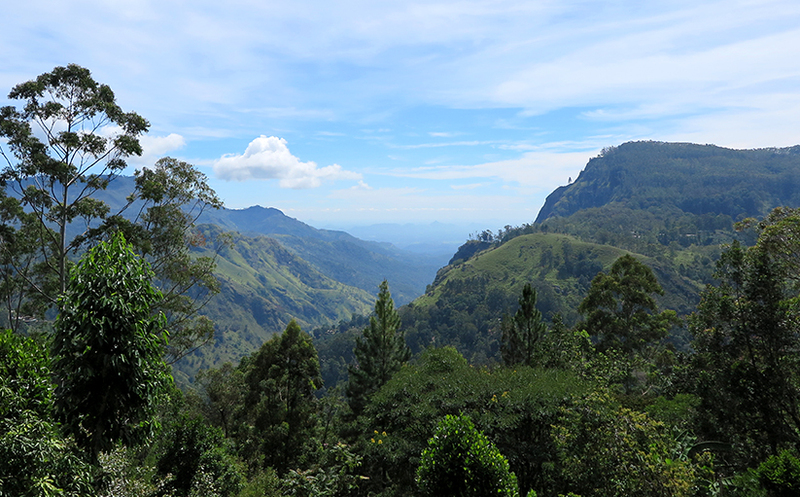 But for our Sri Lanka round trip with Ceylon Tours we had only six days at our disposal. Six days that we wanted to exploit to the fullest. The challenge in planning this trip was to see as much as possible of the country and its people without turning this into a stressful experience. We wanted to be able to really enjoy the trip. 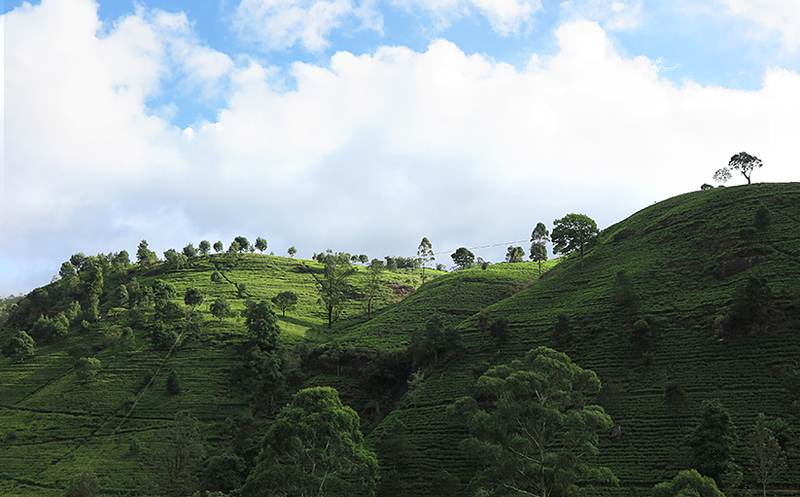 We were eager to travel to Kandy and to visit the tea plantations surrounding Nuwara Eliya. Also, we absolutely wanted to see the mountains. And the coast. And maybe visit a national park? As you can see, we had a lot of places on our wish list. Thankfully, the experts of Ceylon Tours were there to help us out. The team paid close attention to our requests. We like small accommodations and guest houses with a personal touch as well as eco type hotels. Additionally, we wanted to meet with several social projects. The Ceylon Tours team came up with great ideas and fantastic offers on the spot. 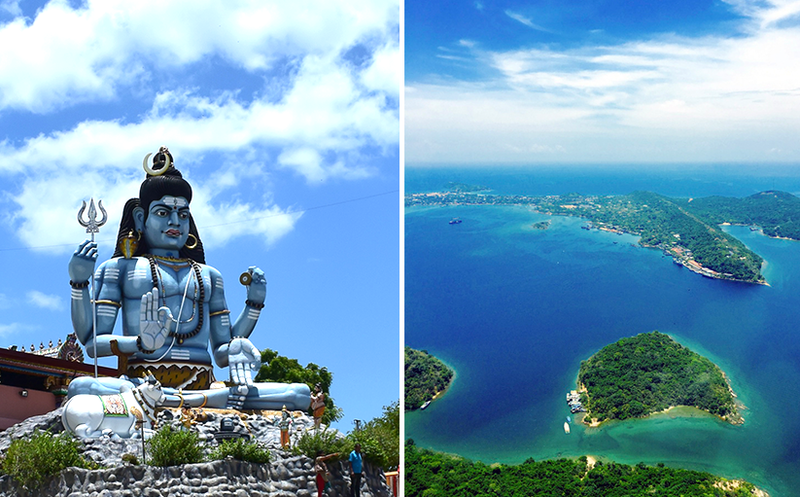 Don’t be too shy to ask questions and to describe what you have in mind for your own Sri Lanka round trip! This makes it easier for the agents to understand your wishes and to make tailored suggestions. When some of our ideas got a little too ambitious the team didn’t hesitate to advise us to spare us unnecessary stress and the hassle of traveling overly long distances. This way we managed to put together our perfect Sri Lanka round trip in a snap. We were full of anticipation and couldn’t wait to get on the road. On the day of departure, our Ceylon Tours driver Pradeep picked us up at the hotel. We had a comfy car and a great driver, which made the trip a real pleasure. Having your luggage always at your fingertips, travelling at your own speed, watching the landscapes go by through the car window… What a privilege. We were savouring every minute of it. On tour with Ceylon Tours. Our driver Pradeep and our car. Pradeep told us much about the country and its people and provided us with many helpful tips. 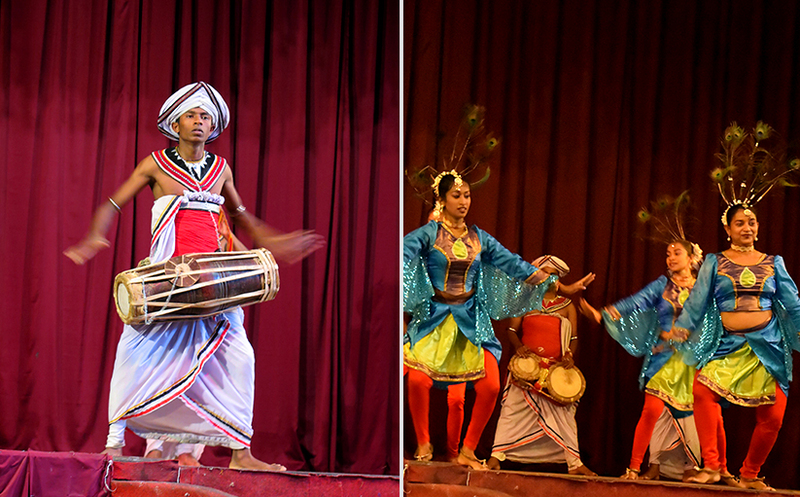 He was patient when we were dawdling, but also prevented us from missing events like the traditional Kandyan dance. Pradeep, our heartfelt thanks to you for your dedication. Thank you for patiently looking for the smallest accommodation on the highest mountain, for organizing the Yala safari and for being a very pleasant travel guide. We felt in very good hands throughout the trip. Starting in Colombo we headed for Kandy. 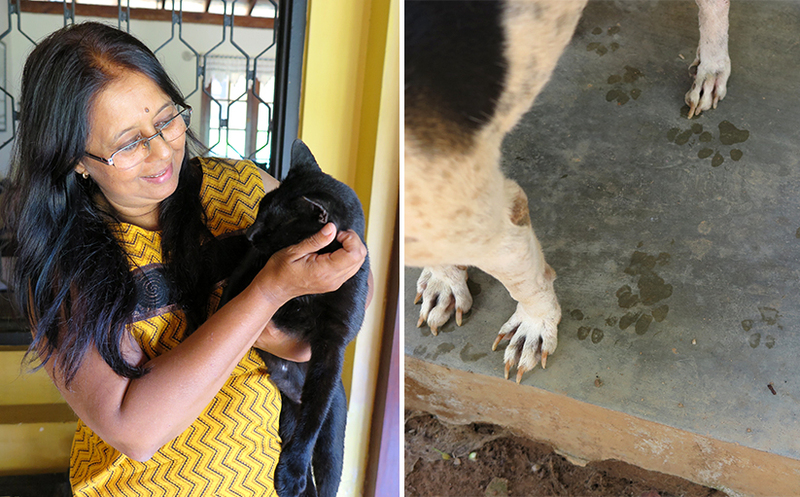 We stopped on the way to visit the “Cat Protection Trust” in Gampaha. This is a project of Indira Sahadevan who takes care of injured cats and dogs living on the streets, many of them discarded by their owners. 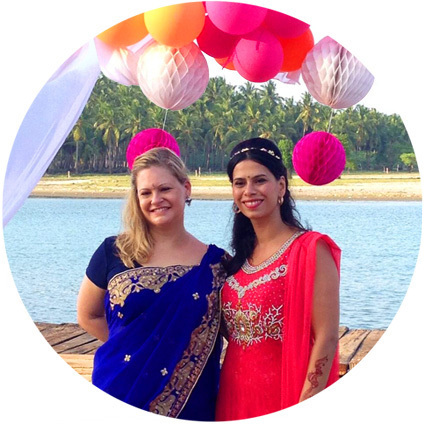 She is committed to finding the perfect home for them – including in other countries. We will introduce Indira and her “Cat Protection Trust” in more detail soon, so stay tuned. If you can’t wait to learn more about Indira and her project, you can visit her Facebook page. Indira with one of her fosterlings. 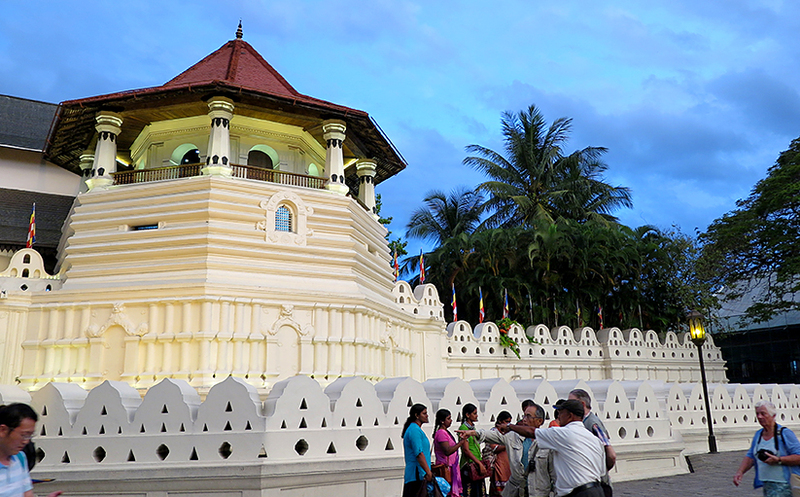 In Kandy we explored the city and visited the famous Sri Dalada Maligawa (“Temple of Tooth”) that, according to local lore, hosts a tooth of Buddha. We didn’t miss the opportunity to witness a traditional temple dance, either. We were mesmerised by this vibrant, loud and colourful spectacle. What a unique and energizing experience. 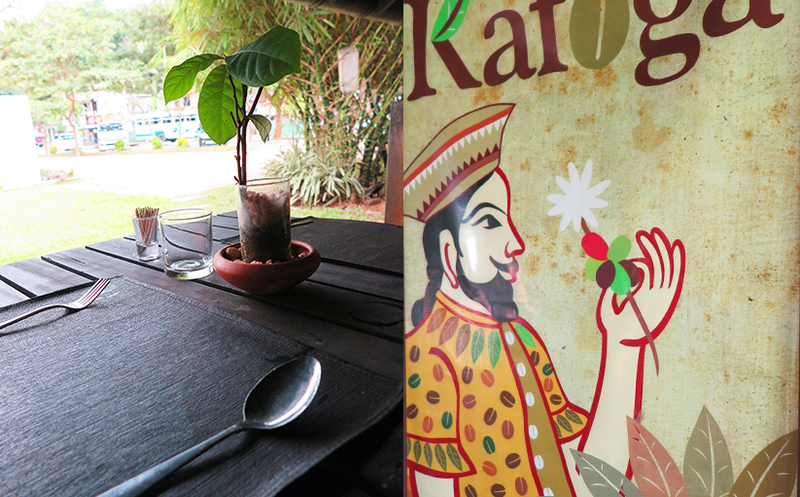 We stayed at a small, charming homestay run by a little family close to the river near Kandy. The famous Sri Dalada Maligawa, also called “Temple of Tooth”. Watching a traditional temple dance. We loved the colourful peacock costumes. From Kandy we made our way to Nuwara Eliya. Suddenly, it feels like entering a new world. 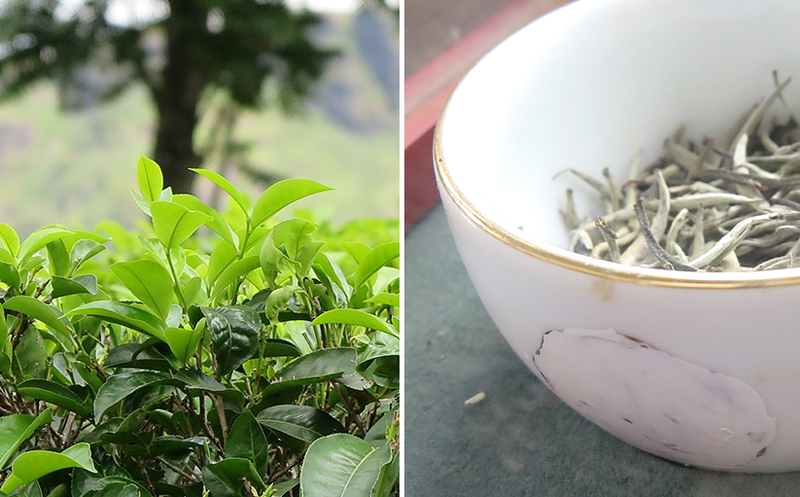 The climate is completely different and the mountain slides and tea plantations are a sight to behold. We made a stop at one of these plantations to find out more about how tea is produced. Unfortunately the weather wasn’t in our favour. It was raining, and we were cold. 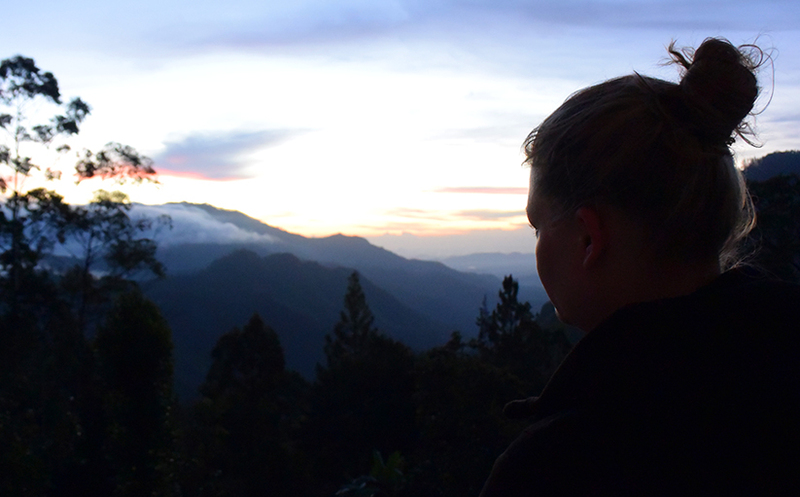 So we spontaneously decided to leave Nuwara Eliya a day earlier to escape the rain by travelling south. 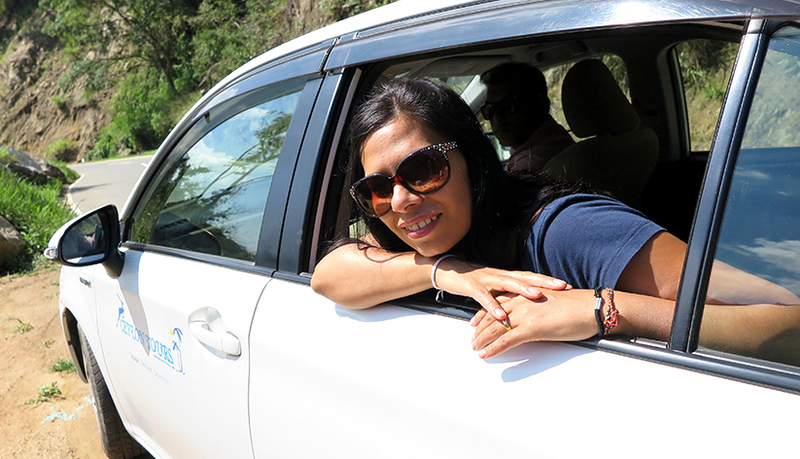 On our way from Nuwara Eliya to Ella. Said and done. Pradeep helped us organizing tickets to travel to Ella by train. At Ella station we were picked up by Pradeep, who had brought our luggage. 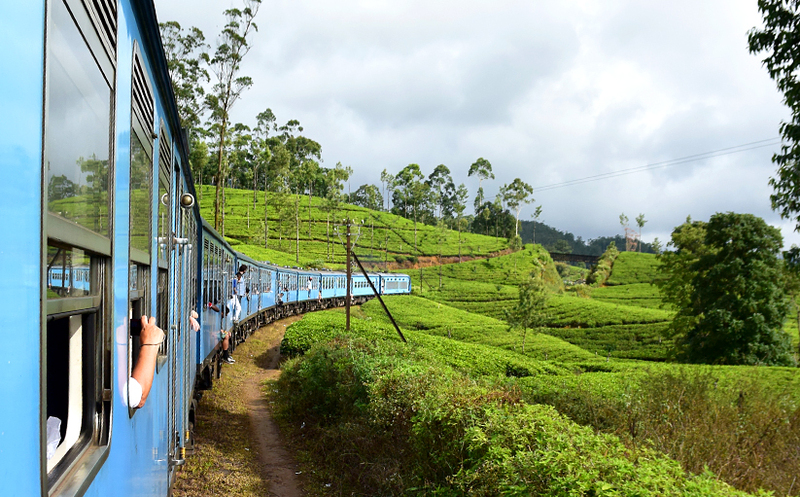 Riding the train through this scenic mountain landscape is a wonderful experience – a must-do for every Sri Lanka round trip. You won’t be able to stop taking photos! In Ella we were greeted by bright sunshine that made us quickly forget the drizzle of the past days. We stayed at a little guest house on the peak of the mountain across the “Little Ella Rock”. It’s so high up the only way you can reach it is by climbing steep stairs or using the guest house’s TukTuk. This meant a short but exhausting climb that was rewarded with an unforgettable view. I don’t like getting up very early in the morning, but the sunrise on the peak was definitely worth it. Ella is a very vibrant small town filled with young people from all over the world. It also offers lots of hotels, restaurants and shops. Getting up very early watching an amazing sunrise. 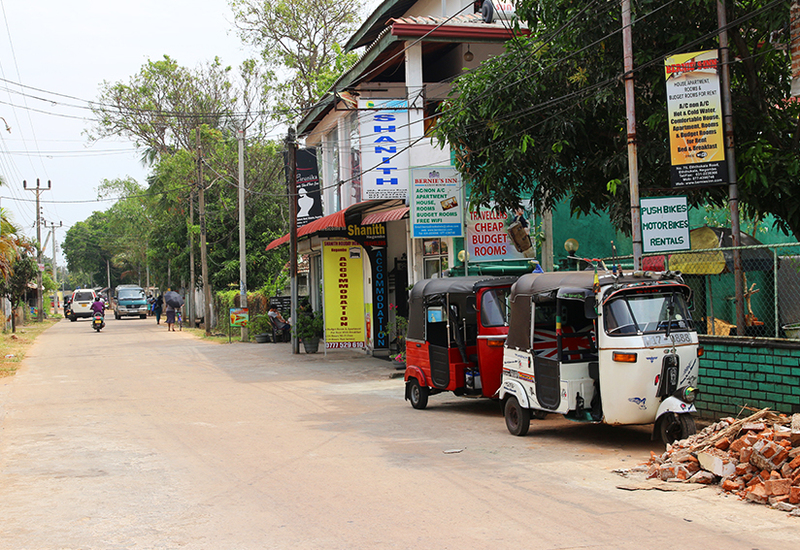 After two days of enjoying our guest house and strolling along the streets of Ella, we went back on the road in the direction of Yala. On our way south the landscape transformed in front of our eyes. Leaving the mountains behind, our drive took us through plains full of rice paddles and vegetable fields. 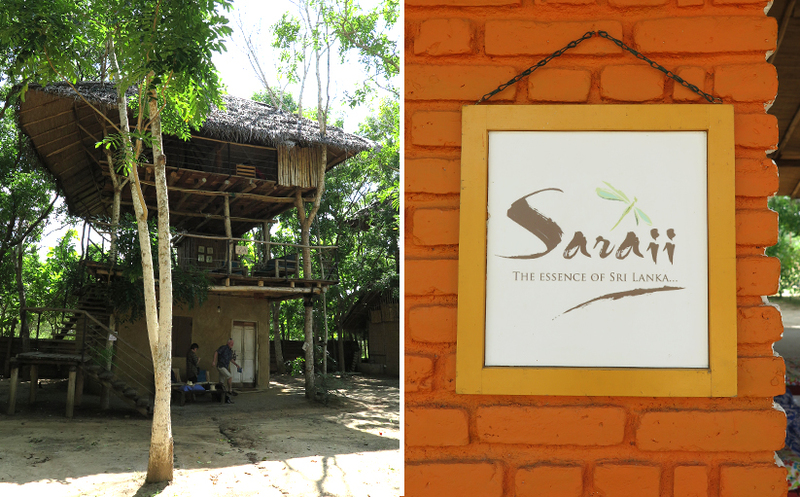 Our destination was the Saraii Village Eco Hotel, a very special place recommended by Ceylon Tours. Built on reforested land, this accommodation combines a resource-saving approach with the respect for nature and the people living in the region. Here, sustainable tourism is not just a word, but a practised philosophy. Amazing Saraii Village Eco Hotel. When traveling to Yala area, a great place to stay. Sleeping on a tree house surrounded by nature. We were invited to spend the night in a very unique “room”. Built like a tree house in the crown, but without harming the tree in any way, the room spans several platforms. 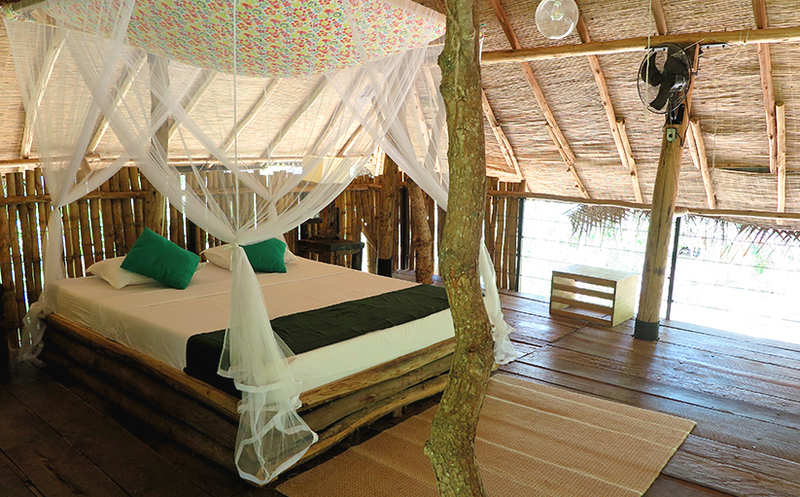 The bed is basically situated in the open, so you take your rest surrounded by nothing but a mosquito net and pure nature. It was an incredible experience listening to the rustling at night. Unfortunately, we had to leave our unique accommodation the next morning before sunrise. We were to embark on a tour in the Yala National Park. 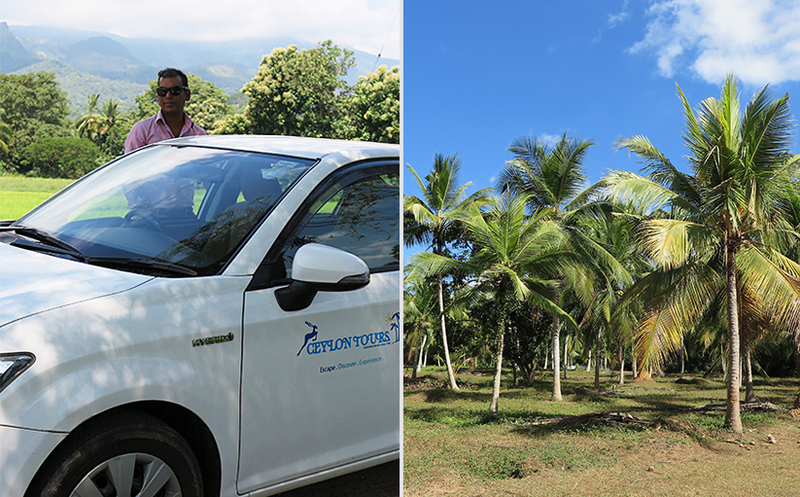 Ceylon Tours had organized a jeep and driver for us, and Pradeep took the opportunity to accompany us. We spent an impressing morning surrounded by unique landscapes. 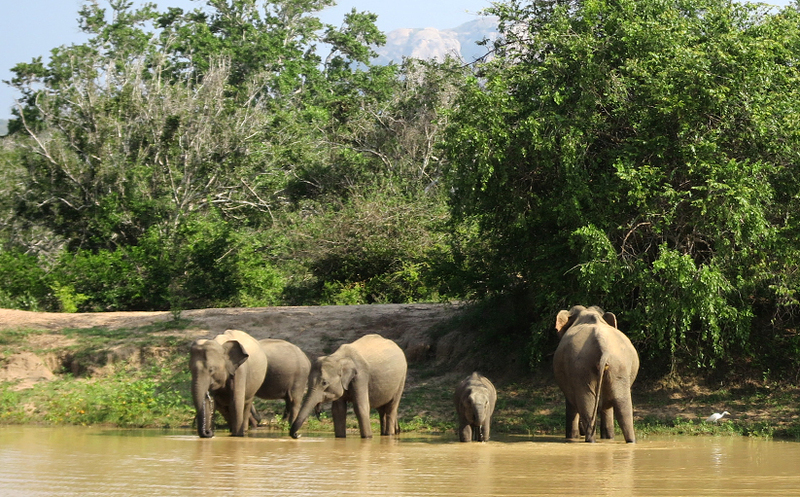 We were even lucky enough to watch a group of elephants including their offspring taking a nice bath. Just a tip for your next safari: don’t underestimate the cold temperatures before sunrise. It doesn’t hurt to bring a warm pullover. 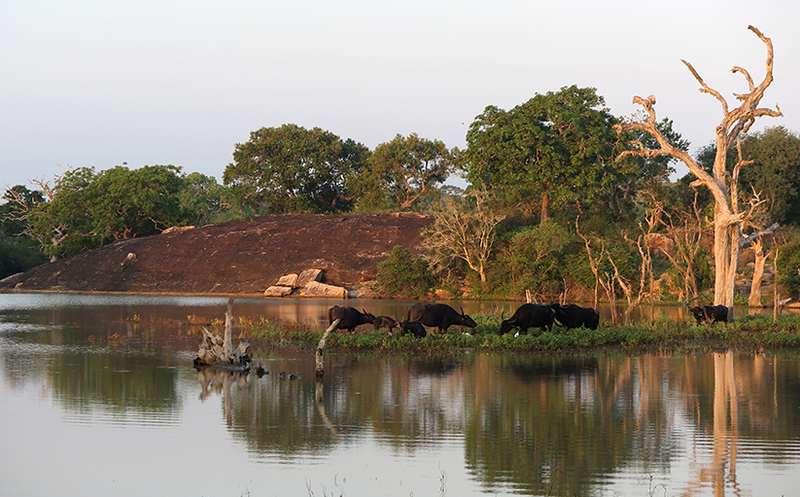 The end of our Yala National Park tour also marked the beginning of the last leg of our Sri Lanka round trip. Like we had planned we finished our tour in the Mirissa area to enjoy the last days of our trip relaxing on the beach. And then we wanted to get back to Colombo on our own. It’s still hard to believe our trip “only” lasted 6 days. It is incredible how much we’ve seen and experienced, on and off the beaten tourist tracks, and how many interesting people and projects we’ve met in this short time. Many thanks to the Ceylon Tours team for advising us, for planning our Sri Lanka round trip and for accompanying us. We had an unforgettable time!